It’s Christmas afternoon, and my Barbie family is snugly wrapped in their new, hand knit sweaters. Plastic was never put to such good use! 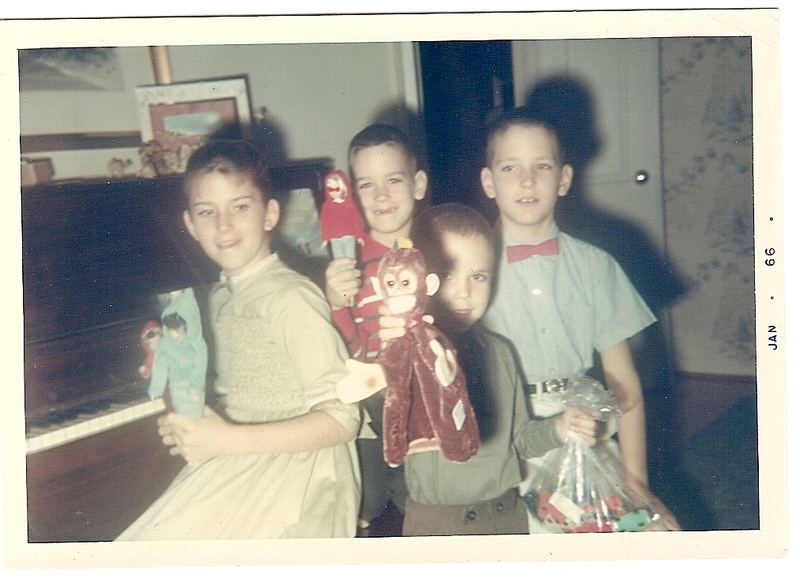 Barbie, Skipper and Skooter–and their adorable little shoes–were among my most cherished possessions.